Dr. Augusto F. Villalon, President of ICOMOS Philippines, recently received the Diwa ng Lahi Award from the City of Manila, the highest distinction given by the city. They cited his continuing work in rehabilitating some Manila districts and for advocating heritage conservation. 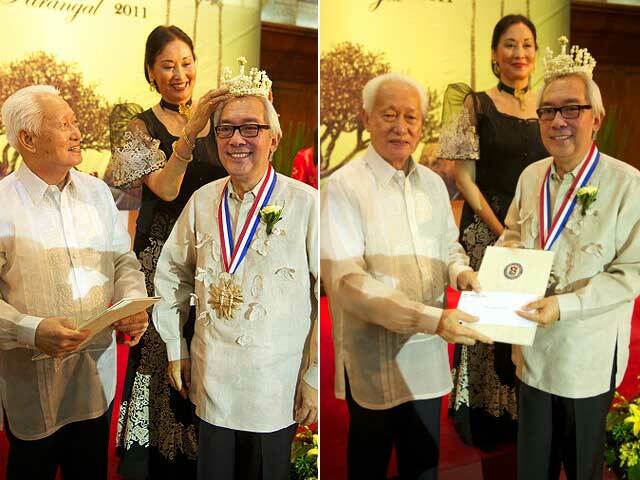 In the photos are Manila Mayor Alfredo Lim and Gemma Cruz-Araneta, Head of the City of Manila Tourism and Heritage Office, conferring the award on Dr. Villalon. Mr. Villalon is well-deserving of the award! May we have more concerned individuals like him.